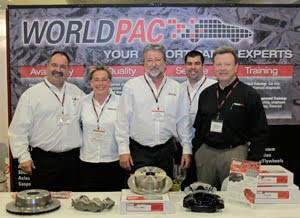 Demonstrating its passion for customer training, WORLDPAC held its second Supplier & Training EXPO (STX) 2012 at the Marriott Anaheim Hotel in California. With a vested interest in its customers’ success, WORLDPAC continues to raise the bar for training, doubling the turnout of its first-ever such event in 2009. More than 1,000 shop owners and technicians from the U.S., Canada and Puerto Rico attended the 4-day event that provided a customized lineup of “All Makes All Models” technical training sessions and business-management classes, conducted by some of the industry’s most respected training instructors, including many from the WORLDPAC Training Institute (WTI).